"Having failed my test a couple of years ago I plucked up courage to try again. I searced on the internet for a local driving school and found Fulham Driving School which was great. 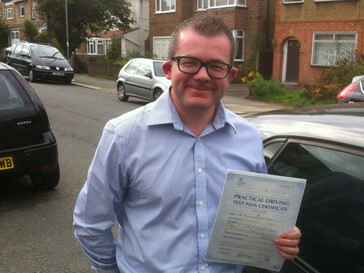 I couldn't ask for a better instructor than Graham who, with his guidance, managed to get me through the driving test. 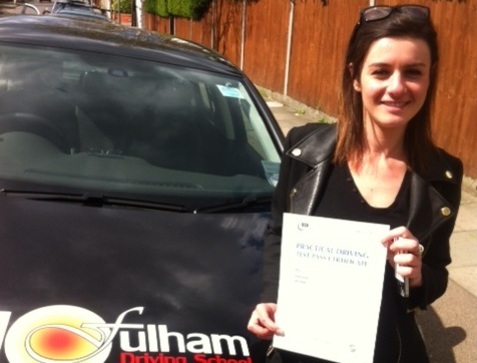 I now enjoy safe driving thanks Fulham driving School and Graham." 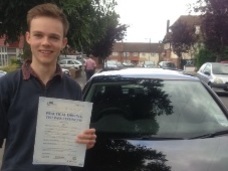 "Passing my driving test first time was all due to Graham. His calm and patient method put me at ease straight away. Mixed in with some humour made the lessons very pleasurable. 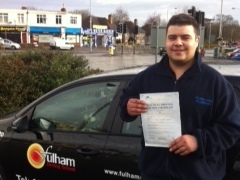 If you want a good instructor look no farther than Graham at Fulham Driving School." "I found Fulham Driving School online when I was on the hunt for a reasonably priced local instructor. Graham was excellent; he was incredibly calm and put the emphasis on learning to drive safely and not just to pass my test. Graham was endlessly patient walking me through my parallel parking, countless swirls round roundabouts and lots of stalls. I can’t believe I passed first time round! Huge thanks to Graham!" "Vinney was the best driving instructor one could ever have. He has very strict which really helped me to learn to drive safely and of course pass the driving test. One of the best parts of learning with Vinney, is that he teaches you in the area where you booked the driving test. This is a great help since you get familiar with the area and therefore it is less stressful on the day of the test. The most important thing is his patience and emotional intelligence. He worked with me on my weaknesses and would always explain to me, as many times as necessary, where I was going wrongas. Vinney also inspired me to keep going. He works based on targets, so every lesson I achieve more and more and my confidence keept growing." "I can't praise Vinney enough! he is an excellent instructor. If you are looking for a good and honest driving school then you have found one. I am glad that I found Fulham Driving school and met Vinney. He gave me a very honest opinion of my driving from the beginning and what it would take to pass the test. I was an experienced driver with very bad driver habits from a non-EU country so had to resit the test in the UK to be able to drive in London. It was tough and stressful to be a learner again but i knew with Vinney's guidance i will be able to make it. 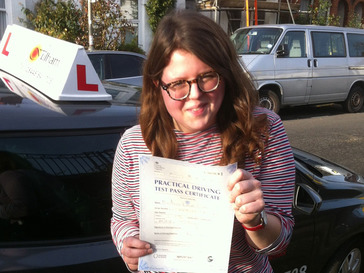 Thank you Vinney :-)"
"Living and working in central London for several years, I’ve never really had the need to learn to drive, but when I got a job a bit further out of town it suddenly became important to get a licence. Vinney struck a good balance between being encouraging and patient and making it clear when I wasn’t doing things correctly. If I was finding anything in particular difficult, it was always easy to discuss it with him and find a way to work through it. I drove a lot worse in my test than in my lessons and I still passed, so that demonstrates the high level Vinney was able to get me to in such a short space of time, although I probably need a few years driving before I truly learn to relax behind the wheel...!" 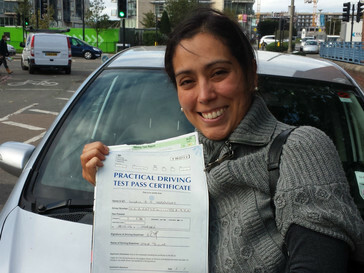 "Learning to drive with Fulham Driving school was by far a very positive experience. My instructor was attentive to me as a person but was also strict enough with me so that I would get a lot out of my lessons. He always made me feel at ease and was encouraging whilst honest about my progress. I found a driving school who really cared about me and wanted me to succeed rather than looking to make as much money out of me (as my experience with previous schools proved to be). This was the best driving school with professional friendly instructors and I would strongly recommend it. Thank you so much Graham!" 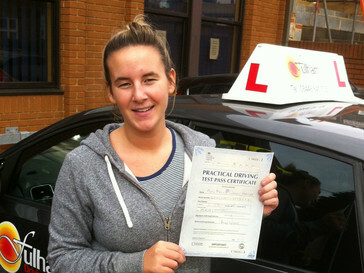 "Choosing Fulham Driving School was a fantastic choice. 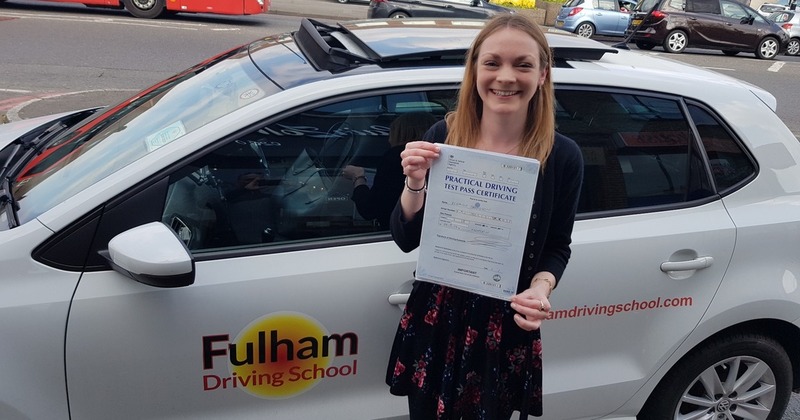 Fulham driving school's priority is to get you driving as soon and safely as possible, arranging lessons suited towards you. I thoroughly recommend Vinney's teaching too. He was very calm, positive and also helped me feel comfortable in the car. We were able to have a laugh at the same time, further creating a relaxed atmosphere, ideal for learning how to drive. I had great fun whilst learning, and It really payed off. 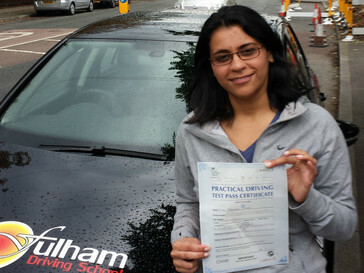 Many thanks Vinney and Fulham Driving School!" 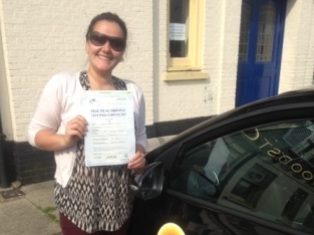 "You have certainly proved that even the most nervous can pass their test. You have a professional manor to your work, making the lessons enjoyable with some light hearted spirit....which is always needed in stressful situations. I'm very glad I choose to learn with you...I will miss our funfilled lessons. Just like to say a massive THANK YOU!! See you on the road :-)"
"I would like to say a big thank you to Vinney my instructor who has been professional but also very patient with me! It was definitely not easy for me at first when I started in October but Vinney was always there to help me and build up my confidence. I did passed my test in April (first time). I highly recommend Fulham Driving School to anyone. Thank You Vinney!!!!" I put off learning to drive for years. I had done a couple lessons previously but didn't learn much from them. When I met Vinney from Fulham Driving School I felt as if I had structure and something positive to work towards. He set out a plan of action using the drivers handbook we were given and from there I never looked back. Every lesson I would learn masses Vinney has great skill in his work, a lot of patience and and a very sociable and calm demeanor, when I made mistakes he helped me to Rectify them. I went for my test calm and relaxed and passed first time! 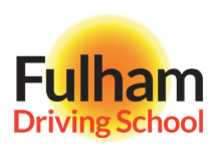 Without a doubt I would recommend Fulham Driving School to any of my peers and prospective pupils as I believe they mean success! A huge thanks to Vinney and FDS for helping me move on with my life and pass my test successfully with only 16 hours of tuition!